Tips on conducting a “confidential job search” without your employer finding out!Home Tips on conducting a “confidential job search” without your employer finding out! Tips on conducting a “confidential job search” without your employer finding out! Learn how to keep your job search efforts confidential while still employed. How do I search without my employer finding out? – Erica B.
It’s so important to have a strong online presence when you’re looking for a job. I would argue everyone needs a professional online brand just to stay on top of their careers these days! But this can definitely be a challenge when you’re still employed and trying to keep your search on the down-low. I will say this: I think it’s really rare for an employer to be caught completely off guard when an employee gives notice. Unless your boss is incredibly disconnected and clueless, most will pick up on the signs that say you want out. Your energy level or willingness to put in the extra hours changes. You have more “sick” days or “doctor visits”. You’re spied sporting a suit when the office dress code is more casual. Your lunches are suddenly longer. People pick up on those things. You have to ask yourself, ‘ what will happen if they find out I’m looking ?’ What happened to the last employee who was caught searching for a job? Were they fired? Personally I know people whose employers found out they were looking and countered with more pay to get them to stay. What do you think would happen to you? The outcome is completely dependent on the company and how it operates, so I’ll leave that judgment call to you. That said, I can understand why you want to be cautious. To keep a low profile, you need to think about all the ways you go about searching for a job, not just posting your resume online. When you’re looking for a job, don’t rely on only one method to find jobs. Incorporate the 3 primary methods to make sure you’re learning about all the opportunities out there – published or hidden. This means: (1) applying (and properly following up) to online job listings, (2) networking with your social and professional contacts, and (3) engaging with recruiters. If you find a job posting that you think is for your company, do a little detective work. 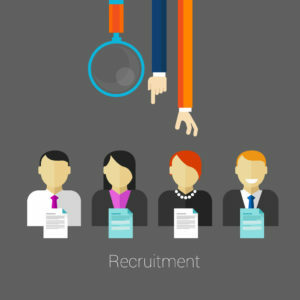 Do you know what your company’s hiring practices are? If your company uses third-party (read: not employed at your company) recruiters for their positions, you’re in good shape. No third-party recruiter will offer you up as a candidate to your current employer – there’s no money in that for them. Also, check your company’s internal job board to see if the position is listed. As for posting your resume, you need to be careful. Some services, such as Ladders, will allow you to hide portions of your resume to maintain confidentiality. Before you post your resume to a site, check out the features available and contact the company’s customer service department if you aren’t sure. If the site won’t allow you to post confidentially and you think your employer will react negatively if s/he finds you, then I recommend only submitting your resume for specific applications and keeping the resume off the site. Recruiters will still be able to find you in other ways, such as through your online profile. Networking requires you to have a strong professional online profile on websites like LinkedIn. If you’re suddenly fleshing out your profile and connecting like crazy to everyone you know it’s pretty obvious you’re looking for a job. To combat this, first make sure you change the security settings so your activity won’t show up in your feed – that way, your employer would need to actually visit your profile on a regular basis to know what you’re up to – who has time for that? You can also hide who you are connected to and what groups you join. If your professional network seems a little risky at the moment, consider reaching out to former colleagues who you trust (it helps if they left the organization a long time ago). Do you have any trade shows or conventions coming up that are for your job? Just because you’re not handing out your resume at the event doesn’t mean you still can’t network. There’s nothing wrong with speaking to other people in your industry and making connections – just meeting new people in your industry can help your search. I also recommend tapping into your personal network – you have no idea who your sister’s best friend’s husband works for. He might be a valuable asset in your search! If you’re afraid to post your resume onsite, consider directly reaching out to recruiters that focus on your industry or line of work. You can search for appropriate recruiters on Ladders, LinkedIn, and through recruiter directories such as Oya. Find specific recruiters at these agencies and reach out to them directly with your cover letter and resume. If you can’t get any response from a particular recruiter, then you can post your resume to the agency’s website (if possible). Again, as long as it’s not a corporate recruiter working for your company, you really don’t have to be worried about your boss finding out. Assuming your online profile is fully fleshed out and aligned with your resume and job goals, you can expect recruiters to occasionally contact you, even if you aren’t explicitly stating that you’re looking for a job. Recruiters like to reach out to anyone whose background and experience fits in with their client’s wish list, especially people who are considered “passive.” Whether it’s fair or not, you’re usually considered more desirable to employers and recruiters when you’re currently employed. Rule of thumb: don’t do any of your job-search activities in the office or on company equipment. Don’t post your company phone number or email address for your contact information. At the end of the day, use common sense (and a little detective work) while you search and you’ll be fine. Use these tips and you’ll be able to successfully search for a job without raising too many red flags with your current company. Here is a unique view of how to set yourself apart during the interview process and make your meeting a memorable one!! Salaries have rebounded a bit since the recession, but In today’s job market, sometimes the perfect job doesn’t pay the perfect amount!